Original encaustic artwork featuring dried foliage. 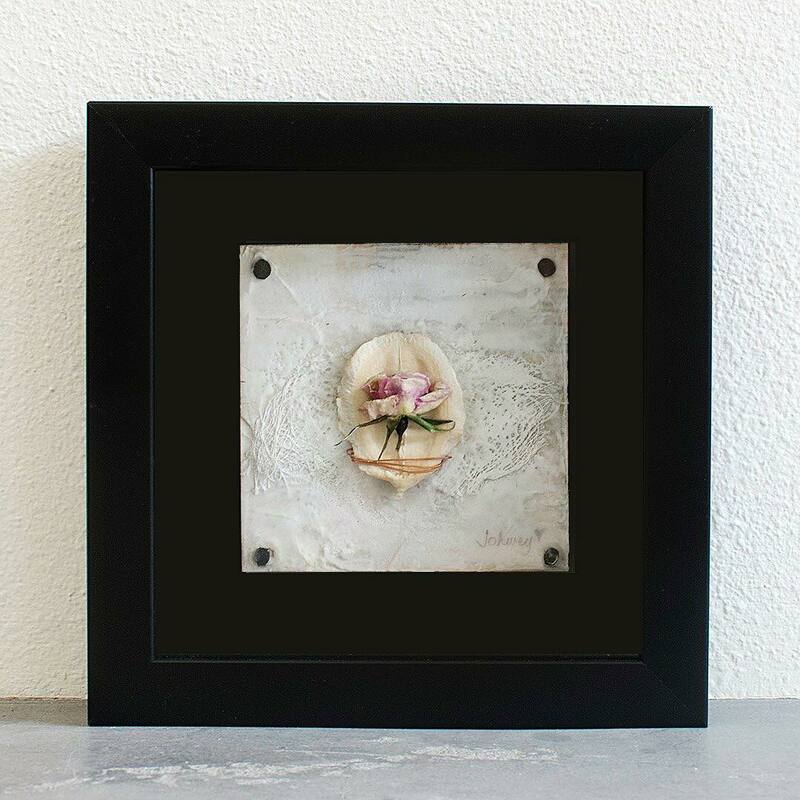 • Artwork is enclosed in a shadowbox frame (with glass) and ready to hang. • Artwork may be hung on a wall or displayed on a shelf.